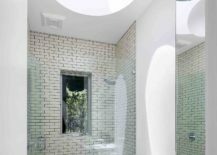 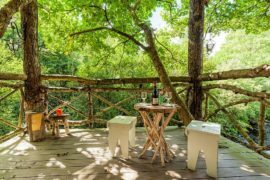 A relaxing retreat that is surrounded by greenery and takes you away from the hustle and bustle of life inside the concrete jungle is increasingly an idea that most homeowners are veering towards. 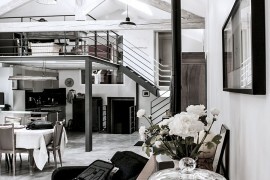 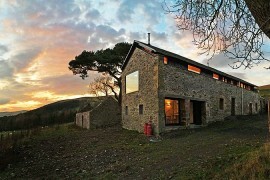 Most often this manifests in the form of fabulous holiday homes. 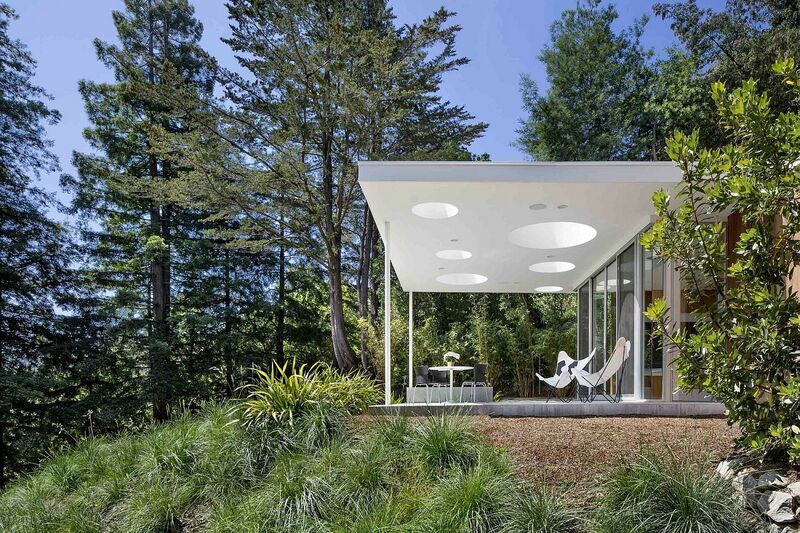 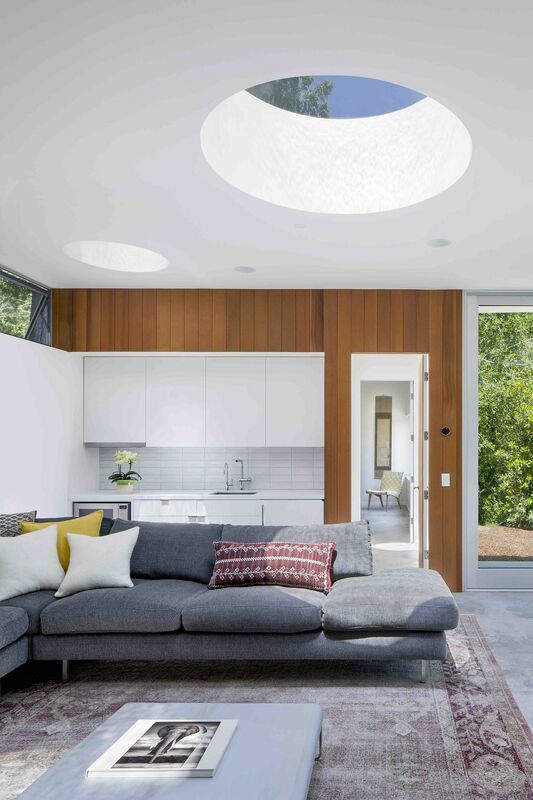 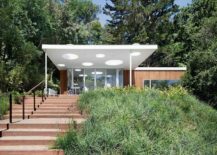 But the Mill Valley Guesthouse designed by Turnbull Griffin Haesloop Architects is about creating a serene and comfortable space for visiting friends and family, even as they take in the wonderful scenery outside. 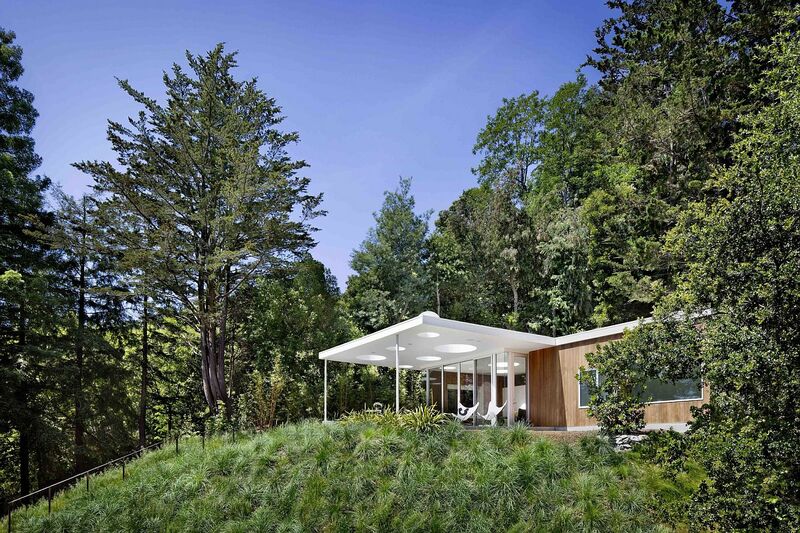 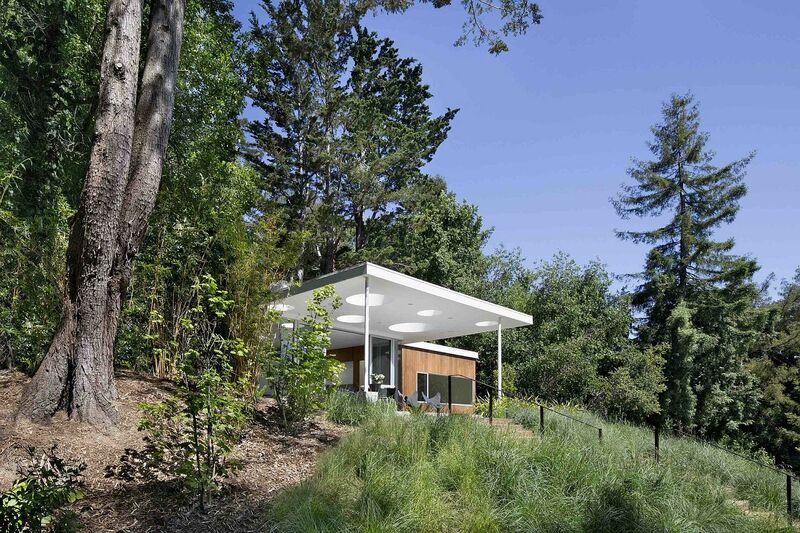 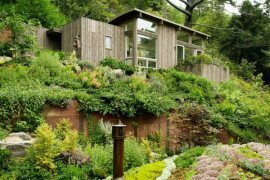 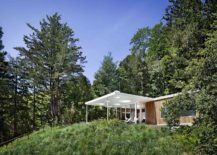 Nestled on a lot in Mill Valley filled with redwood and cedar trees, the design of the guesthouse ensures that the existing landscape is as undisturbed as possible. 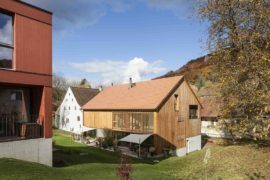 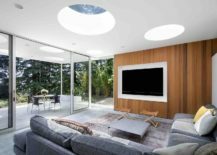 Perched atop the steep lot, the guesthouse is contemporary in form and contains a living area, media room and guest bedrooms. 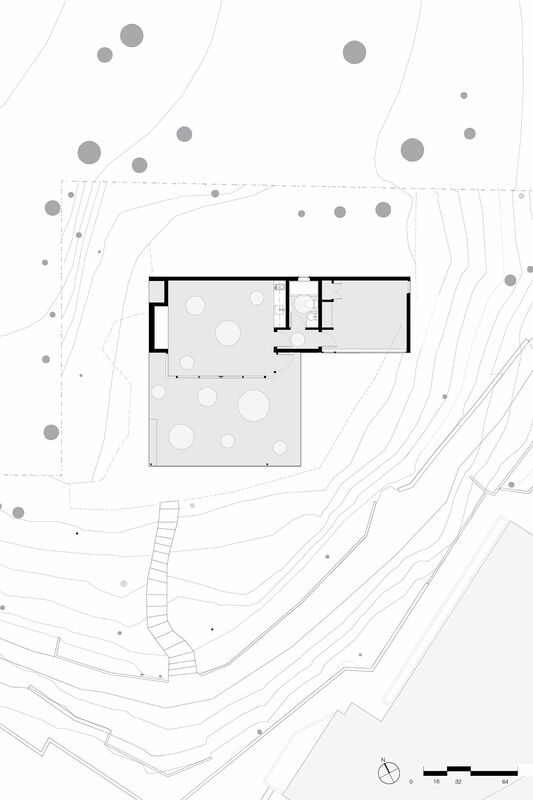 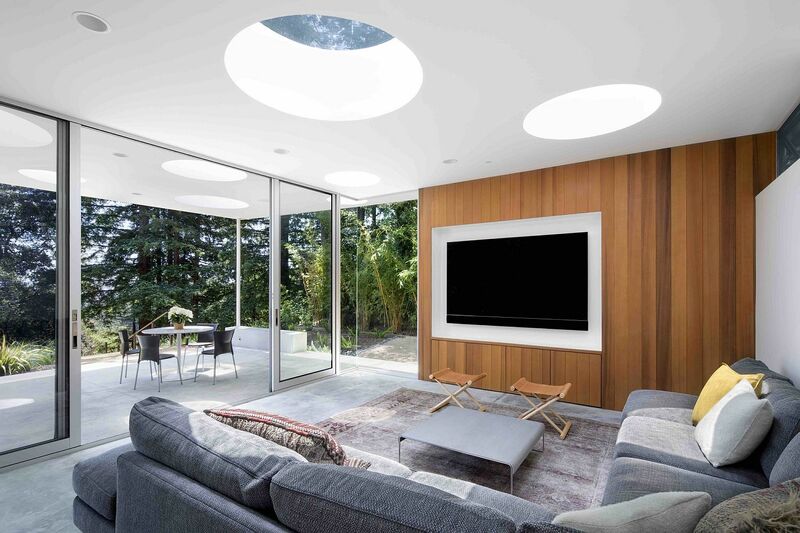 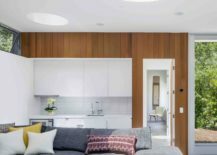 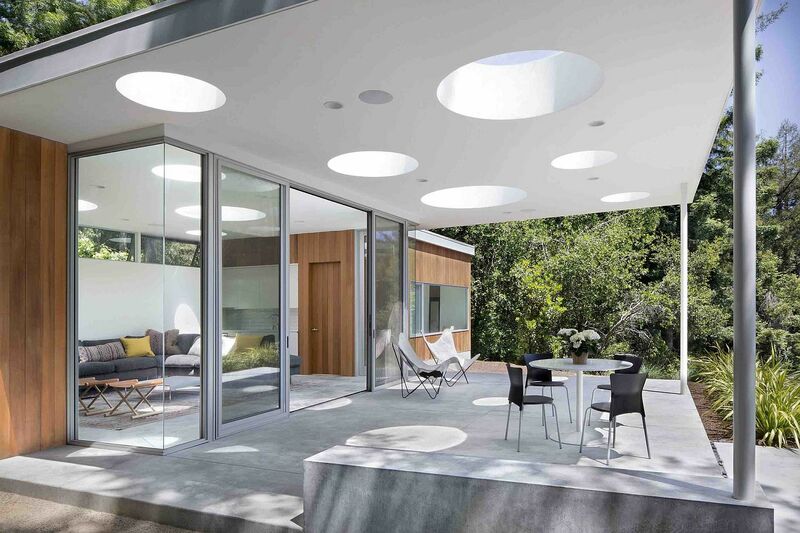 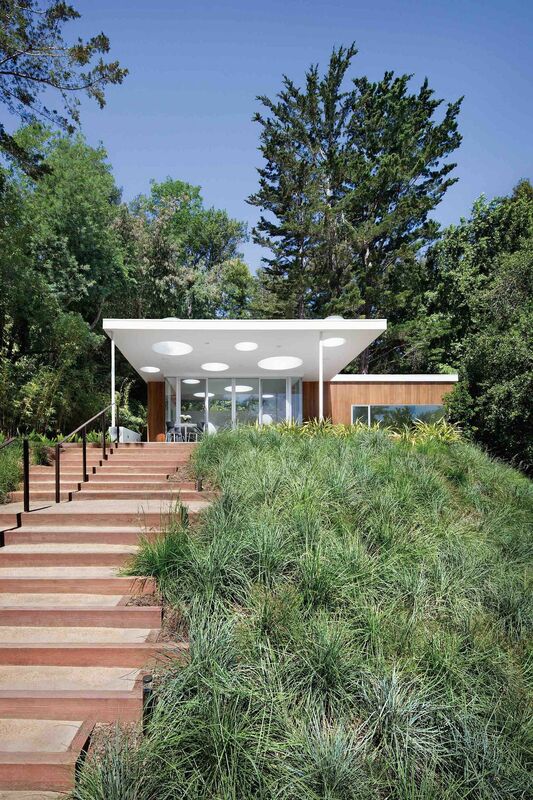 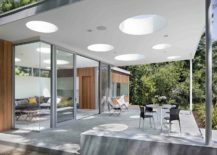 The porch on the outside feels like an extension of the media room with round cutouts in the ceiling acting as skylights throughout the structure. 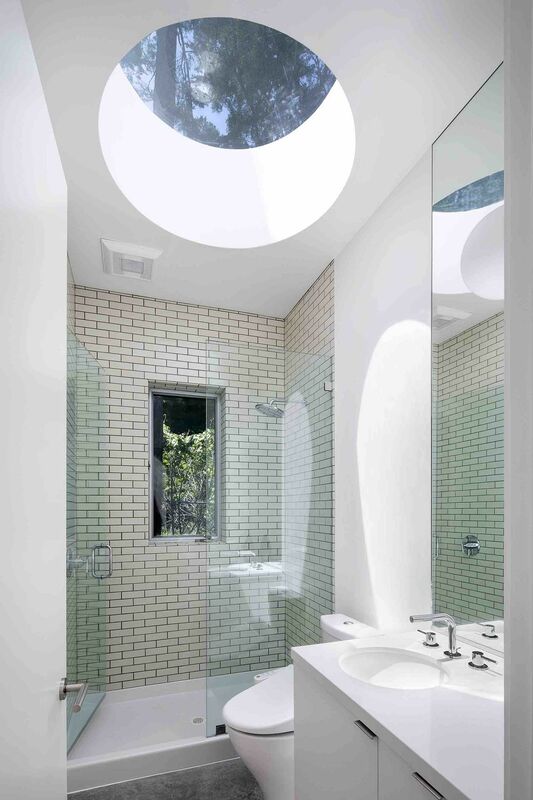 Canopy surrounding the house filter sunlight that enters through these skylights and help in keeping the guesthouse cool and comfortable even on the hottest summer days.